Set a festive mood for any baby shower by planning decorations that will transform any area from boring to festive. Look for decorations to cover all areas of the party space, inside and outside. 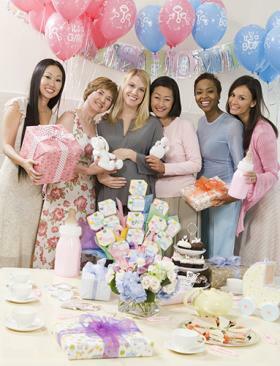 You can choose to either decorate generally for a baby shower, or decorate by theme. Either way, the mom-to-be will know you put special attention into this party just for her and the baby. Start the party off right with decorations that set the tone for the whole shindig. If the weather is warm, bring the party outside with decorations that spruce up the natural ambience. Door banners: Hang a greeting for the mom-to-be on the door, celebrating her pregnancy and the baby. 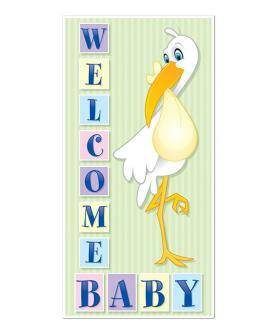 A stork Welcome Baby door sign or a 'When You Wish Upon a Star' sign are options that will work for any shower. Yard signs: Let out-of-town guests know they are at the right place by staking a sign in the yard. This is also a good way to point people to the backyard for an outdoor party. A gender-neutral sign is excellent for a gender reveal shower, while the 'B' is for baby sign works well for a shower before baby is born. Extras: Add potted plants and flower arrangements next to the front door or porch to make it look inviting. If the party is in the evening, consider purchasing basic luminaries to light the path. The area above the gift table, buffet table, and general party space can all be accented with decorations. Don't forget to add a few hangings to the wall, or place large stand-ups at the edges of the party space to add festivity to the entire area. Spinners/swirls and cutouts: Spinners and swirls are whirly ribbons hung from the ceiling with baby-related graphics at the bottom. They tend to "spin" as people walk by, hence their name. Cutouts are simply hanging shaped decorations. Check out the baby clothes cutouts from Etsy, Just Duckie swirls from Party City, and baby feet dangling cutouts from Birthday Direct. Lanterns: Pick up festive paper lanterns to add above the party space, like the paper lanterns from Oriental Trading or mini round string paper lantern lights from Beau Coup in your choice of colors. Hangings, banners, and garlands: Remove personal photos and art to make room for special wall hangings. Options include the Fisher Price baby shower chain garland from Party City, jointed stork cutout from Staples, and a personalized banner for mom from Oriental Trading. A canopy is another excellent idea for hanging above a smaller designated area, like the cake table, and the pink and blue canopy from Party at Lewis works for any shower. Stand-ups: Large cutout graphic images are good to put in front of televisions and other items you want to cover up. One great option for any shower is the baby bottle standee from ShinDigz. Gift tables, food tables, end tables, and seated tables can all be decorated with items that celebrate mom and baby. Centerpieces: Dress up baby shower centerpieces by adding blue or pink confetti on each table from Birthday Direct. Birthday Direct also has shower balloons with messages that can be placed on tables in lieu of a traditional centerpiece. Chairs: Tie yellow shower ribbon around chairs and make a large bow in the back. 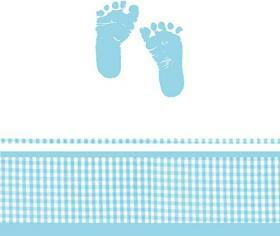 Table Covering: Add a some color and protect your table with a table covering featuring cute baby items. You can add a surprisingly large amount of charm with small little touches throughout the party area. onesies: Have each guest bring a unique onesies to the party. Hang them on a clothesline for display. 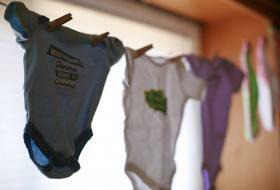 You can do similar things with other staples the mom-to-be needs like socks, washclothes or burp cloths. Candy: Get small tin buckets from the dollar store and fill them with jelly beans that coordinate with the shower colors. Vintage alphabet blocks: Artfully arrange vintage alphabet blocks around the cake and serving table. Balloons: Don't underestimate the decorating power of a bunch of balloons. Get balloons in shower colors, fill them with helium and tie them to weights with varying lengths of ribbon so that they are artfully arranged in an arch or bunch around the table, guest of honor's chair, or other area you want to highlight. Planning a themed baby shower requires tying all the decorations together. Themes can range from carriages to storybooks to monkeys, and you can find decorations from signs to centerpieces that will fit with virtually any theme you desire. If the baby has been born or mom-to-be knows the gender, you can also pick up girl or boy decorations. A rain and umbrella theme is a classic shower theme that won't go out of style. Pick up decorations that feature rain boots, umbrellas, and raindrops that will shower the new mom or parents with love. Move your hanging plants from the porch and replace with colorful umbrellas. Place several sets of rain boots next to the front door. Add subtle baby shower door hangers to the doors and entryways that feature a pregnant mom holding an umbrella. Hang a banner above the food or gift table like the pink and blue umbrella banner that allows you to personalize it with the mom-to-be's name from Zazzle. 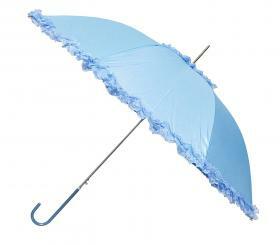 Add child-sized umbrellas to windowsills or hang from light fixtures throughout the area. Balloons with umbrellas or with pregnant moms-to-be holding umbrellas add festivity to the area when placed along walls or on tables. Place cheap plastic raincoats over chair backs in colors that coordinate with the rest of your shower decorations. Add small umbrellas to the center of the tables - simply open and set them up. Look for umbrellas in pastel greens and yellows. Send guests home with cake slices as their favor in coordinating boxes featuring umbrellas and a pregnant woman like the favor boxes. They can be placed next to each table setting or put together in the center of the table to serve as a centerpiece. Rubber ducks are a traditional theme for showers, especially gender-neutral showers. They're cute, and themed items are readily available. Inflate a small baby pool, and fill it with rubber duckies that can sit near the front door. In the summer or at an outdoor celebration, you can scatter these small pools along the edges of the party space. 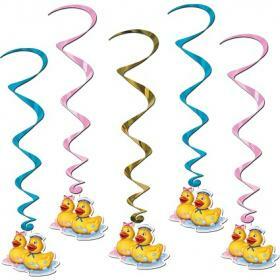 A garland, like the Ducky Paper Garland, can be hung in a doorway as guests walk into the party space. Hang whimsical decorations like the Just Ducky Whirls on the ceiling throughout the area. Add a blue table runner to the table, and scatter small rubber duckies down the length of it to use as your centerpiece. Purchase ducky napkin rings to add a little extra "quack" to the tables. Use confetti on the dessert table to make the theme really stand out. A creative ABC theme means you'll also need to think a little outside the box when it comes to finding decorations for your party space. Place a potted plant outside the front door and decorate using letter ornaments. A letter-shaped wreath is an elegant touch to an ABC party - choose "B" for baby or the first letter of the mom-to-be's last name. Congratulate the mom-to-be with a personalized 'A is for Alphabet' banner. Hang it over the general party area or above the doorway. 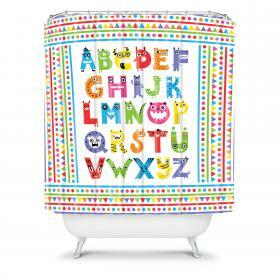 Hang a shower curtain featuring ABCs, like the Alphabet Monsters shower curtain, across doorways, and behind the food table. Hang alphabet letters up throughout the party area on walls or string with fishing line to hang from the ceiling. Set wooden alphabet blocks in small pyramids on tables for a cute centerpiece. Use fun A is for Alphabet placemats to dress up your table. Place ABC books throughout the party area on tables and end tables. Use the Baby Gleam N' Burst centerpiece, which spells out the word "baby", as part of your table decorations. Parents expecting multiples will enjoy a shower that highlights their many bundles of joy. Decorate a theme of peas in a pod with garden accessories and items. An outdoor space like a garden needs very little decoration to create a theme. Adding a banner above the entrance or on the gate to the garden is a simple and easy decoration that also alerts guests where the party is being held. For an indoor party, line the outside walkway with small potted pea plants or garden stakes with pea seed packets on them. Bring in potted plants and vegetables to place along the walls and outer edges of the party space so it looks like an actual garden. Tie a ribbon around the planters to add a festive touch. Prop cleaned rakes, garden shovels, and hoes against walls. Bee wall stickers will add a little fun to your garden theme inside, especially when placed next to the potted plants. 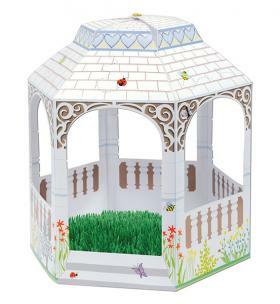 Add a centerpiece to your tables, like a tissue paper bee, surrounded by flower petals or a garden gazebo. Use miniature flower pots as place card holders on the tables. Tie Sweet Pea balloons to the backs of chairs, whether indoors or out. If you're hosting a baby shower for someone who is adopting internationally, it'd be a lovely gesture to pick up decorations that celebrate the baby's heritage. Intersperse items from the baby's home country, like shoes or photographs, with global decorations and some basic smiling baby decorations. You can also make homemade baby shower decorations that highlight the child's country of origin and new adoptive parents. Hang a large world map on the front door, with your location circled in red with the words "Baby's ETA" with the date next to it. Place a welcome banner in multiple languages on the front door to greet guests. 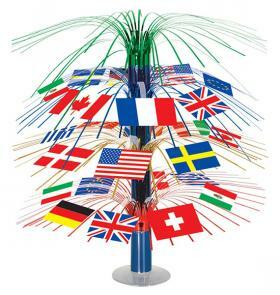 Banners featuring international flags are a great way to add some color and global flair to the party area. Hang up globe beach balls. Also add some generic baby-themed whirls and spinners like the Special Delivery Dangling Swirls. Place a "worth the wait" sign next to the adoptive mom or parent's chairs. Use an international flag cascading centerpiece on the table, and scatter baby confetti on tables to create a global table with a baby theme. No matter how you decorate for a baby shower, the mom-to-be is sure to be excited about the event when she sees the fun décor. Tie it all together from the entrance to exit, add some tableware supplies, and you're sure to have a perfectly decorated party.